These Goat Cheese Tarts add a sophisticated touch to any summer table setting or wine and cheese party. 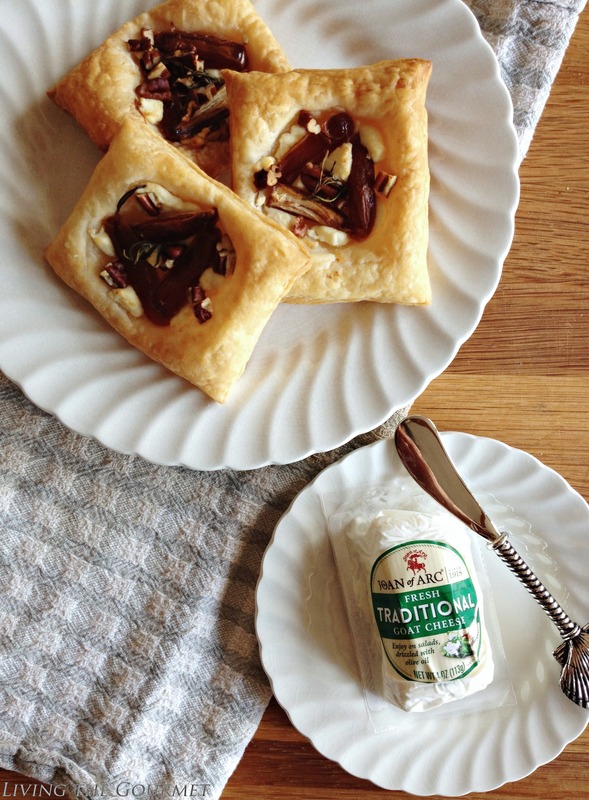 The center filling is comprised of rich, full-bodied Joan of Arc® Goat Cheese, that pairs perfectly with dried dates, pecans and fresh garden rosemary especially when baked into a light, buttery shell. When I started blogging it was a way for me to share my love of cooking with others, and preserve recipes and memories for my children. It was a hobby in the beginning that grew into a labor of love. Despite how far Living the gourmet has come, cooking is still a deep rooted love of mine. It is something I have been, and always will, have a passion for. The change of seasons however, brings many changes to my little kitchen. Friends drop in to share a cup of coffee, while family members spontaneously decide to swing by, but those last minute dinner gatherings always turn out to be more than just a ‘quick’ bite to eat. The days are longer, and so are the nights. Some spilled wine and many laughs later, my little kitchen is transformed- but as they say, one man’s mess is another man’s treasure. A messy kitchen is my treasure. It is a treasure trove of memories that I will always hold dear in my heart. I look forward to all the ‘little messes’ this season, as it is a stamp of love, family and happiness. Little messes, however, can often give birth to big flavor, and that’s precisely where I found myself after receiving an invite to my eldest brother’s birthday, which we are due to celebrate early next month. Set to take place in the freshly manicured yard of my niece’s new home, the theme is set to be purely and simply light summer fare. More than just my eldest brother’s birthday, however, it’s also the first family function my middle brother will be attending since recovering from cardiac arrest he suffered in April. In other words, a celebration of life in the purest form – a new summer season, another healthful birthday, and a second lease on life. To complement the theme, I wanted to bring something light and easy. Fortunately, I had been working with what’s quickly becoming one of my new favorite cheese products- Joan of Arc® Goat Cheese, and it would be taking center stage with what I was planning to bring. Joan of Arc® includes a variety of French and French-style cheeses that are perfect for today’s on-the-go shopper that is looking for quick and easy ways to go gourmet. The brand features classic flavors like chevre, brie, camembert and Roquefort that has kept consumers coming back for more since its inception in 1918. 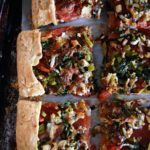 I have a soft spot for savory pastry shells, whether in the form of meticulously crafted phyllo layers or homemade puff pastries, as they are supremely versatile. In this instance, I opted for a puff pastry, which I formed into delicate squares, with a deep indentation in center, which would cradle the filling. 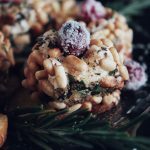 Using the goat cheese as the base for the filling, its signature creamy texture would serve as a harmonizing contrast to a mix of dates, pecans, and garden fresh rosemary, creating a savory but light and ever vague hints of crispness. Laid out as part of a late spring or early summer tablescape, these puff pastries form an impeccable addition, being light on the palette, pleasing to the eye, and easily paired with a range of summer cuisine. Just to be sure, I fired up my little kitchen, and made a test batch over the weekend, to which my son and daughter gave an overwhelmingly positive response. Roll out puff pastry sheet and cut out 6-8 squares. Take a glass or mason jar lid and gently indent the center of each square. Spread about 1 tablespoon of goat cheese into each circle. Top with dates, pecans and finally rosemary. Bake for about 10-12 minutes or until golden. 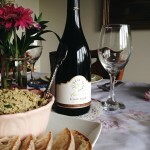 The Joan of Arc® website is a great resource for consumers. Not only does it feature a nice sampling of recipes, it also includes wine and beer pairing suggestions that perfectly match the rich flavors of the line’s specialty cheeses. Similarly, the brand’s Facebook page and Pinterest page are loaded with recipes and serving suggestions. Also, Joan of Arc® Facebook fans are always the first to know about the latest promotions, enter-to-win contests and new items. Follow them today! In the spirit of Summer and celebration, I am giving away a $25 visa giftcard to one lucky reader! Please note you must be 18 or older to enter. Giveaway open to U.S. residents only. These sound amazing. I bet they would be good with sundried tomatoes too. Love these tarts Catherine! Look beautiful! Hi Catherine - what a lovely post! Not only do I love your simple and elegant tarts, but I love your post in general, and your take on the joys of a "messy" kitchen! Enjoy your celebration with family! These look so fabulous Catherine. They will be perfect for your upcoming party. I like to think about your family all together and celebrating after your brother's recent health crisis. What a blessing. Back to the tarts, they are so sophisticated but look simple to make, my kind of recipe. Love clearing about Joan of Arc Goat cheese. After reading your post, I took an extended leave to check out the Joan Of Arc! I do like goat cheese, but never knew which brand was best, so I would just buy any kind I happened to see. Well, not anymore. I went to your link, checked them out, liked them on Facebook, and got great recipes!! I also found out which store around here sells it. I hope your brother has an awesome party! When I worked, dinner was usually on the run and more times than not - processed food. I have been retired for two years and I cook almost every single day. My husband (also retired) has some medical problems but since I have done all the home cooking, his conditions have improved a great deal and I get such joy by making a meal. His doctor is so happy and can't believe the difference. I have used quite a few of your recipes and this one I will definitely try. I have never used Joan of Arc but after checking out their website, I found out my local Shop Rite carries this project. 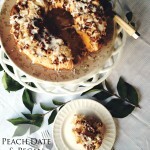 This will be one of my recipes this weekend. Thank you for sharing. Wow, these are almost too pretty to eat. I love how creative this recipe is...looks amazing. 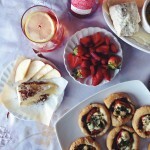 Oh I can't wait to try their goat cheese and these tarts! These look wonderful, Catherine ! Love the use of the Joan of Arc goat cheese (which looks delicious by the way) with the pecans, rosemary and dates. They would make perfect appetizers for a dinner party. 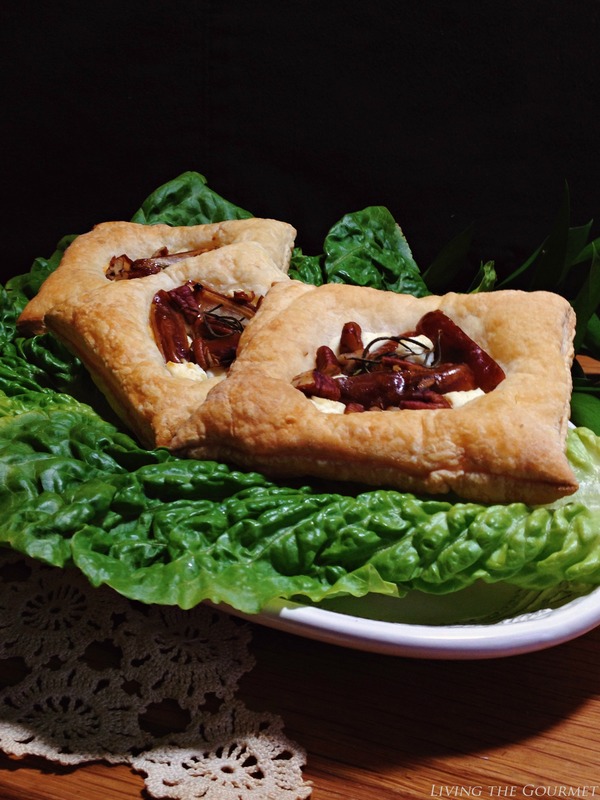 What great use of puff pastry and goat cheese - it looks so fancy. :) Pinning. Your pictures are beautiful and elegant! 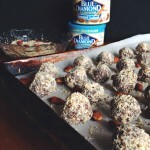 This recipe looks so delicious, can't wait to try these! Your pictures are elegant and beautiful! 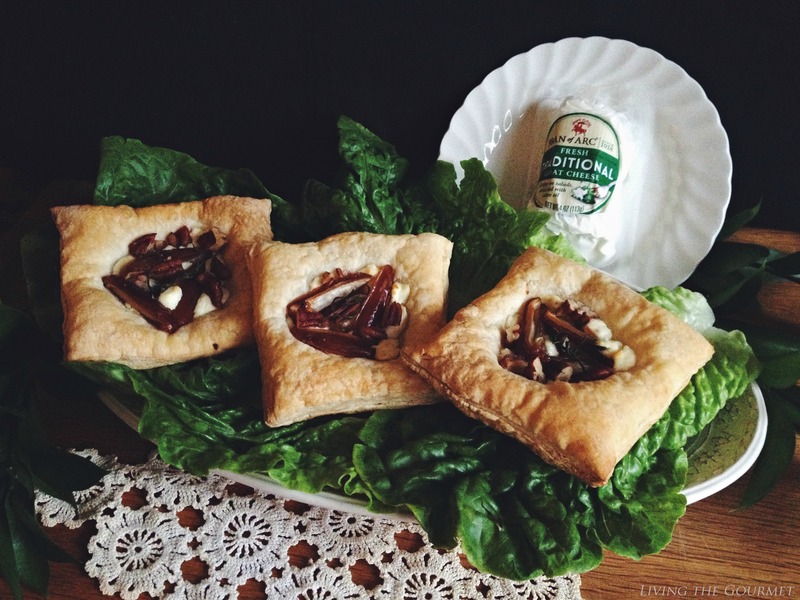 These Goat cheese tarts look incredibly delicious can't wait to try these! These sound amazing! 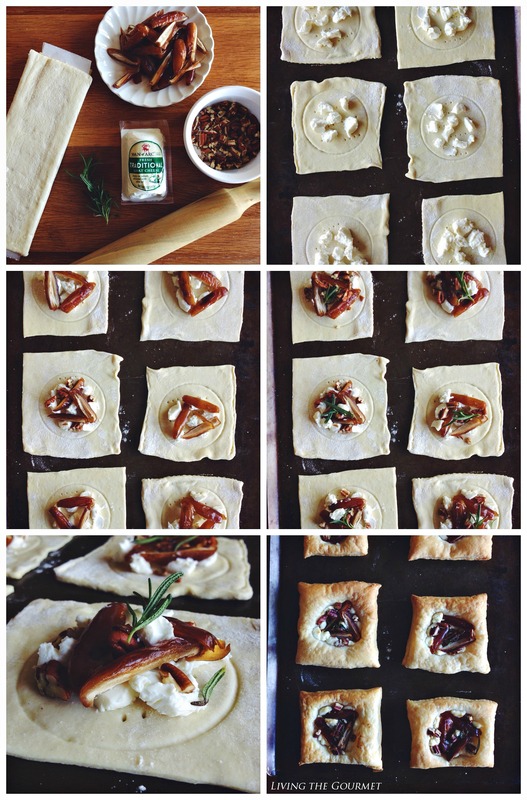 I have Rosemary growing in my kitchen herb garden and puff pastry in the frig. Can't wait to make these!